This activity is our raison d’être and since the year 2000 we have planted in excess of 11,500 trees in Kent. Much of our planting has been carried out in villages following requests to plant small groves near community centres and to establish wind-breaks adjacent to roads and railways. 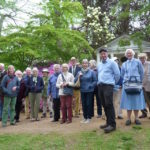 We planted a small woodland of 197 trees near Dover to commemorate the sinking of the Herald of Free Enterprise and established a community facility in Hollingbourne comprising a mixed woodland of 100 trees. 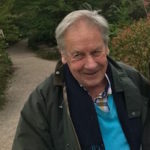 To commemorate the death of our former Chairman in 2001 we were granted permission by Wye College, in the village of Wye, to plant a woodland of 370 trees and to commemorate the 70th birthday anniversary of the Queen we planted 70 oak trees on Detling Hill; in 2012 we planted two areas each of 60 trees to celebrate the Queen’s Diamond Jubilee. Our largest contribution was to provide and plant 3000 trees, in association with the Tree Council, in White Wood in Detling. We also want to inspire young people to appreciate the value of trees in the community and with this in mind we have planted, with the help of the school children, trees in over 140 schools in Kent. 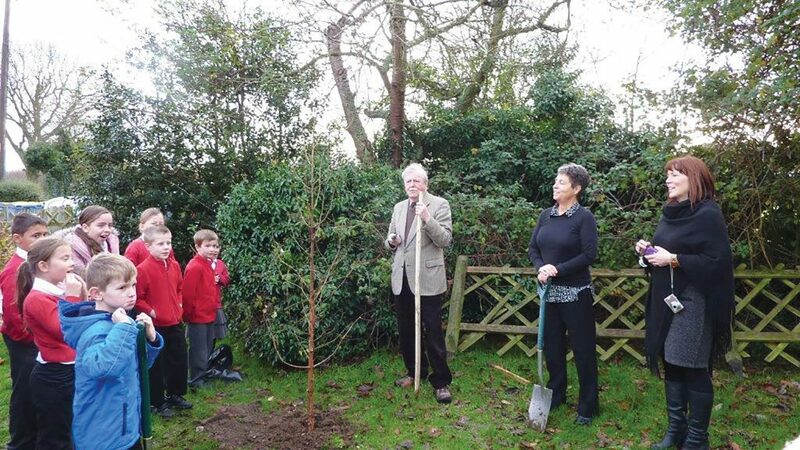 In one school in Canterbury we planted 900 trees as part of the school’s environmental studies programme. This school sends us annual reports on the progress of the trees and details of their maintenance protocol. Each year winners and runners-up in our Trees in the Village Competition are presented with trees and these are planted in the village at sites suggested by the local tree-warden and/or the Parish Council. An important aspect of our work in Kent is the involvement of schools in our planting programmes. Unfortunately, schools are finding it increasingly difficult to allocate space for trees, with the need to build more classrooms. However, we have visited and planted trees in more than 140 primary schools and in all cases we have involved the pupils in actual tree planting whereby they select a tree, dig a hole, plant the tree and stake it. We have found that many schoolchildren are very enthusiastic about the programme and many have kept diaries in which they record the growth and progress of the tree during their stay at the school. Most of our work has been carried out in Primary schools but, following an approach by a well established secondary school in Canterbury, we established two small plantations, each of 450 trees, as part of their ongoing environmental and conservation programme. In this case we were encouraged by the arrival of voluminous reports on the growth and development of each and every tree! Schools wishing to take advantage of this planting scheme should approach any member of the committee for further information.